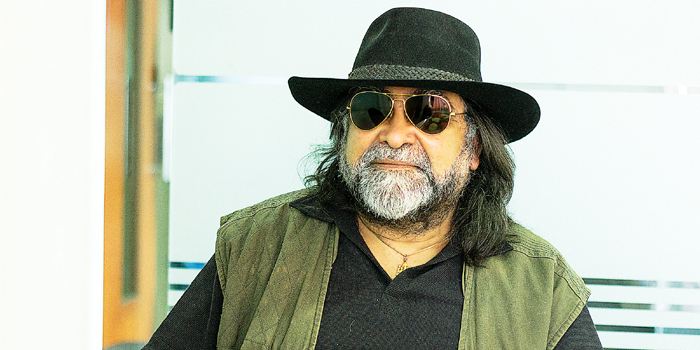 Be it at business, ad filmmaking or life, 60-year-old Prahlad Kakkar lives to go against the grain. Hea��s made careers and launched household namesa��Aishwarya Rai in the unforgettable Pepsi ad and Maggi with the a�?Ita��s different!a�? tagline. The ad-hatter, as hea��s fondly known, has shown fierce individualism in his career, starting Genesis Films, his own cigar brand, Sherger, a scuba-diving institute, Lacadives, and two roaringly successful Mumbai restaurants, Casa Amore and Sarson Da Saaga. Having won accolades at the New York Advertising Festival and being nominated for a Cannes Lion award, what really is his driving force? a�?Ia��m an intuitive neurotic, as many creative people are,a�? he says. Research and storyboarding are out of the question, hea��s only interested in the bold and cutting-edge. a�?The best ideas are often found in the dustbins of an advertising company,a�? he says. With social media taking on the appeal of print ads and TV commercials, is Kakkar worried? a�?Sure, its interactivity and demographic it reaches definitely boosts the number of eyeballs a brand gets, but nothing beats the brand recall that a great advertisement ensures,a�? he insists. Meanwhile, according to him, newer brands like Micromax are getting ahead of the game with innovative campaigns, while the big league is falling back on the safe and rational. He believes that great scripts and execution come from brands that cana��t afford to be featured on TV every so oftena��and thata��s where the younger crop is winning. About the ad mana��s passion for mentorships, Kakkar jokes, a�?Ia��m like Yoda, whom I consider the youngest character in the Star Wars series, because Ia��m always up for learning what keeps my students young. Teaching is what keeps me immortal in a way.a�? He is also not in awe of international acclaim as he believes the awards are not an indicator of quality. He feels appreciating the cultural madness of an Indian advertisement doesna��t come easily for an international jury, which expects universality. But he is all for campaigns like the recent Ice Bucket Challenge, which is gaining traction worldwide. The real hook of the campaign, he says, is public imagination getting caught up with a celebrity almost losing their dignity for a cause bigger than themselves. Finally, what is Kakkara��s mantra to making it big with an ad film? a�?Dona��t make the ad like ita��s work. Own the idea. Live the idea.a�? Hands down, the Nescafe ad featuring the stuttering comedian. I love how the product is subtly introduced in the advertisement, as opposed to the usual aggressive, in-your-face branding. The imperfect human element just wowed me. 1. The Nestle advertisement, where a North-eastern girl is adopted by a couple. 2. TATAa��s a�?Jaago rea�� campaigna��linking social advertising with the tagline a�?Wake upa��. 3. All of Ideaa��s campaigns, from a�?What an Idea, sirji!a�� to a�?Ullu banaoinga��. 4. The MTS ad of a baby boy using the internet as soon as hea��s born. minutes after new ads hit newspapers and TV screens. 2. The a�?losera�� as an ambassador. Nescafe has revived the trend with a stuttering comedian as an ambassador. Thata��s a huge risk, but it really pays off. 3. Ads where brands make fun of themselves. Ia��ve always noticed clients are too afraid to laugh at themselves.